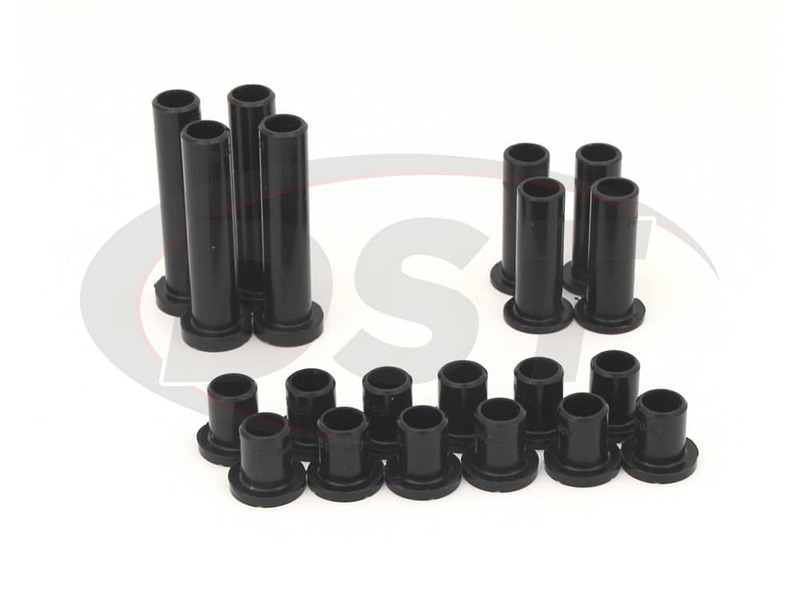 This Complete Rear Control Arm Bushings Kit for your RZR 800 & 800 S increases the longevity of your RZR and gives it a suspension boost. 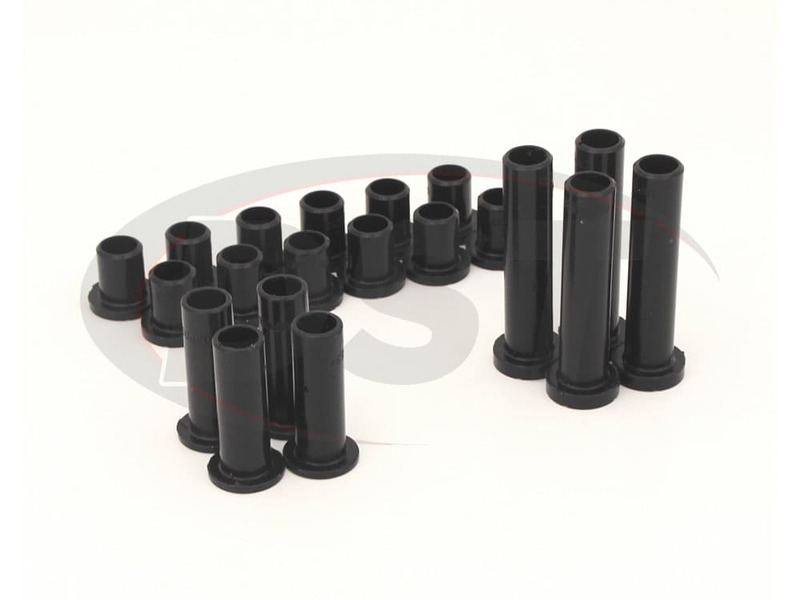 With added tire contact with the trail of your choice and a guarantee to maintain your RZR's wheel alignment you can't go wrong with Energy Suspension's control arm bushings. Not only will this kit save you money, but with quick install times you can be back at it in no time. 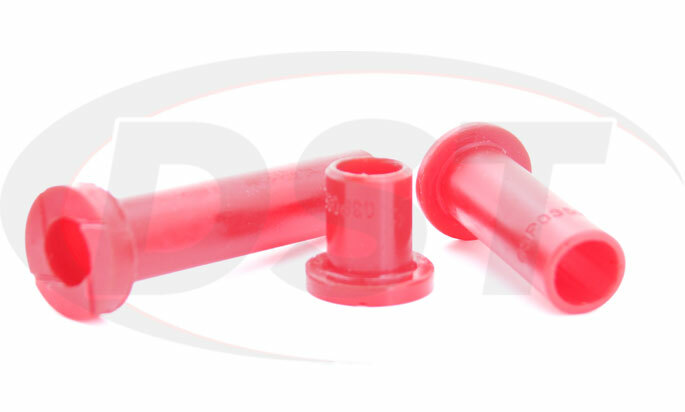 Like you, your RZR loves going on adventures through all sorts of terrain, but you may have noticed a loss of traction, this is due to worn control arm bushings. The part of your tires that connects your vehicle to the road is roughly the size of your hand and your control arms are part of what's responsible for keeping your tire there. 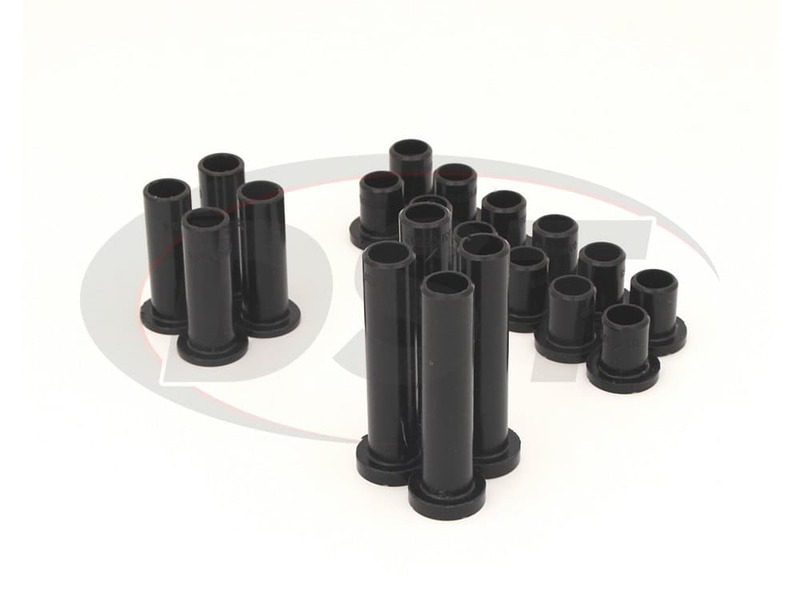 This means those little bushings play a huge roll in your UTV's suspension, performance, and safety. 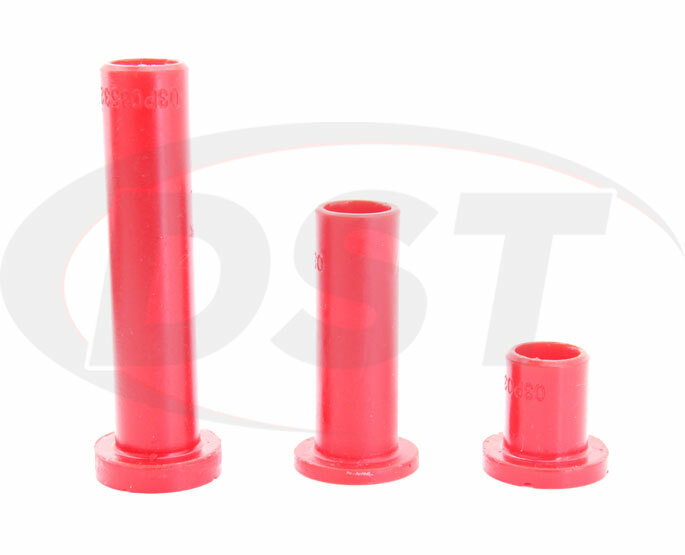 As your suspension travels, your bushings are being repeatedly stretched and flexed, after a while the sleeve in a rubber control arm bushing begins to sag throwing you suspension alignment out of whack. This sagging will continue until the rubber fails completely, Energy Suspension's polyurethane bushings will not sag over time or from exposure to the elements. Polyurethane is a firmer material than your O.E. 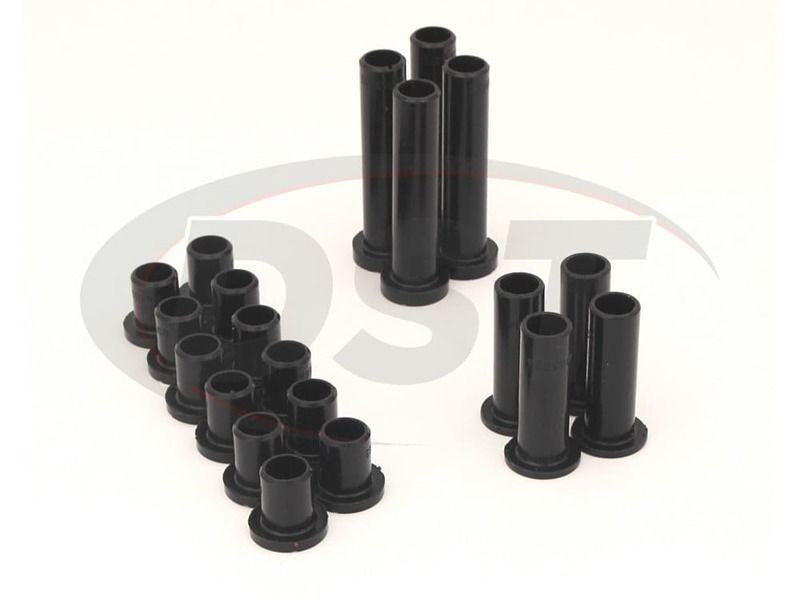 rubber, this allows your bushing to last longer and gives your suspension a boost with handling performance. 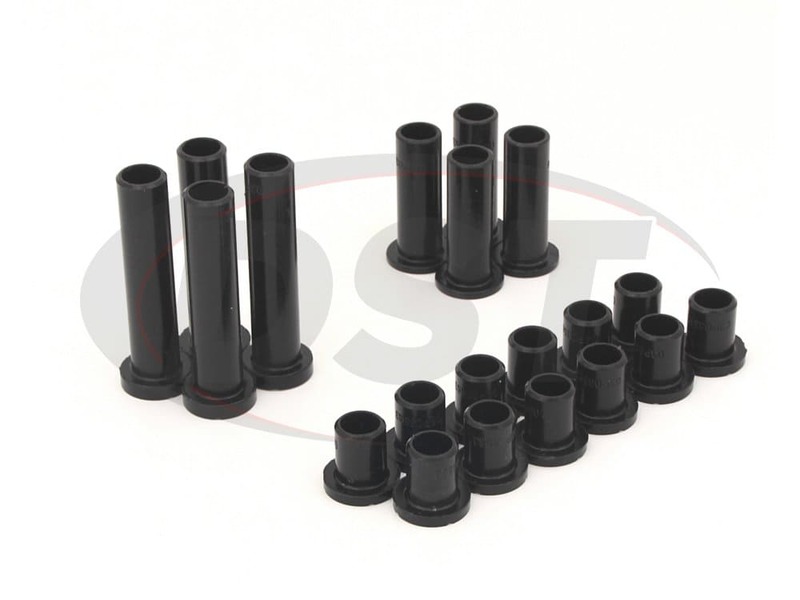 If you're looking for a money saving performance boost for your RZR 800/800S that will also keep you safer out on the trails, then Energy Suspension's Rear Control Arm Bushings are for you. Plus here at DST we don't just sell car parts we stand behind our brands, which is why we have personally upgraded Energy's 2-year warranty into a Lifetime Warranty. Give our expert customer service team a call or live chat with them right on the screen, and ask them any question you may have.